The release of the Samsung Galaxy Sport is imminent, but a leaked render of the new smartwatch means there won't be many surprises at the launch event. 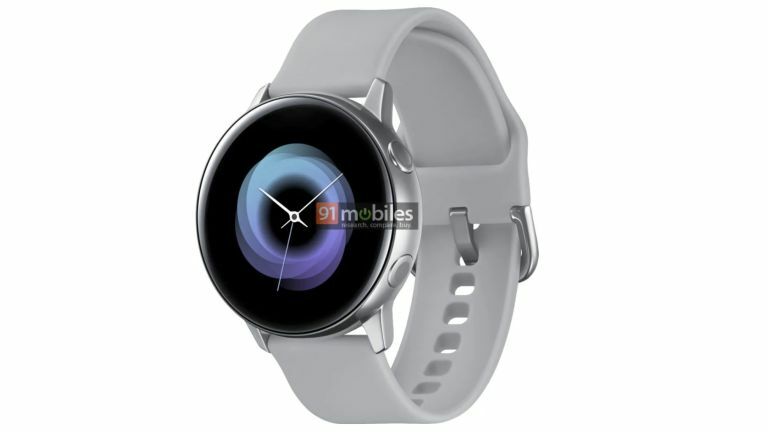 The latest leak gives us the clearest look at the smartwatch yet, which is expected to be similar to the Samsung Galaxy Watch with more of a fitness focus. It won't be a direct replacement. The Galaxy Watch should have a number of fitness features to set it apart from its predecessor, as well as an improved Bixby experience. The render, which you can view above, comes courtesy of 91mobiles and a "reliable source". It shows a completely new design direction for Samsung, with a smooth circular design and brushed metallic casing. It looks like a circular Apple Watch, which is certainly no bad thing. Crucially, there is no rotating bezel, which has been a pivotal part of Samsung's smartwatch design for years. Some have suggested the bezel could be touch-based. Inside we're expecting the Galaxy Sport to be similar to the Galaxy Watch, with 4GB storage, and Samsung's Tizen operating system.